Consensus has exploded over the last few years. More and more groups are using consensus to make decisions, and awareness of the advantages of consensus are seeping into mainstream consciousness. It’s a way of reaching agreement in a creative and dynamic way: instead of simply voting for an item and having the majority of the group have their way, consensus helps to find solutions that everyone actively supports. All decisions are made with the consent of everyone involved, and this ensures that all opinions, ideas and concerns are taken into account. 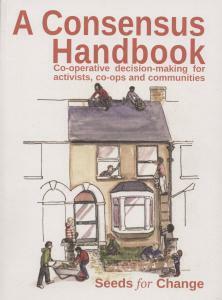 In the UK the camp for Climate Action introduced thousands to the process, yet this was just one of the most visible indications of how consensus is becoming the decision making process of choice for groups who are changing the world, bit by bit. 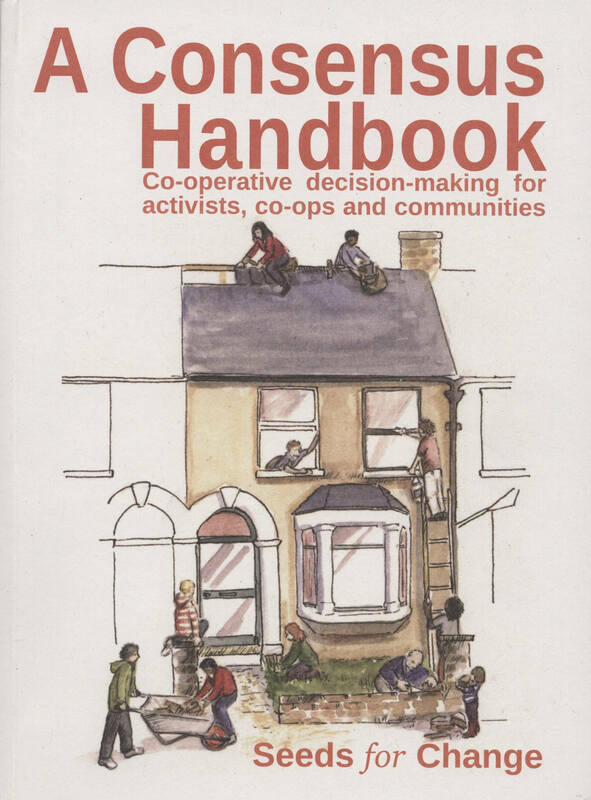 In this handbook we explain the spirit and philosophy of co-operative decision making as well as providing practical guidance on how to facilitate a consensus process. We look at common situations and explain the skills and tools your group can use to ease the path to a decision. We’ve included material on some of the pitfalls and problems you and your group may face – and have provided some suggestions of how to deal with them! Whether you are new to consensus or are experienced; whether you think it’s the best way to make decisions or are struggling to make it work: this book is for you.